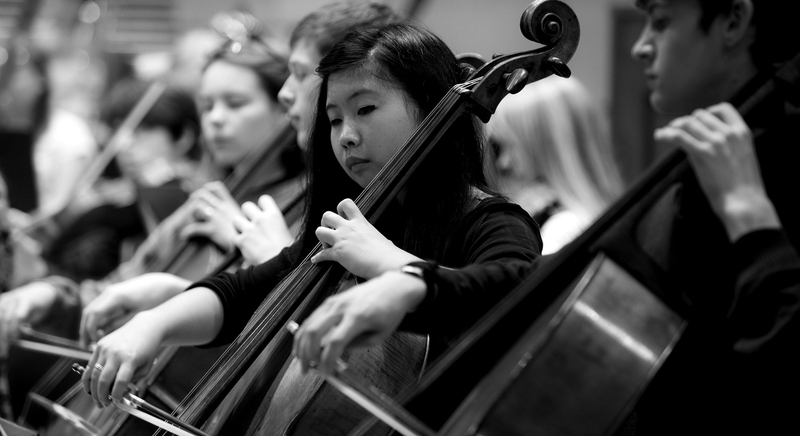 Discover the stories behind the music at this free pre-concert event for teenagers. Hosted by NYO Young Promoters. Starts one hour before the concert at all venues. Booking not required. Hear bold new music written by NYO's teenage composer section. London and Liverpool only. This spring experience a united force of brilliantly talented and fiercely passionate young musicians – the world’s greatest orchestra of teenagers, in fact – come together under the baton of Mexican conductor Carlos Miguel Prieto to extend the hand of friendship across the Mexican-US border, celebrating the power of music to build bridges. Silvestre Ruvueltas’s Sensemayá is based on an Afro-Cuban poem depicting the sacrifice of a snake. Feel the tension build as ritualistic percussion pounds out the poem’s chant ‘Mayombé-bombé-mayombé!’ and frenzied brass wail in thrilling anticipation of an epic battle between man and beast. Lightening the mood, Chavez’s Sinfonia India is bursting with the spirit of Mexico. Based on a series of folk themes that are joyous one moment and romantically lyrical the next, it will whisk you away in a lively whirlwind of pure, unadulterated fun. Then imagine Broadway lights twinkling and strains of jazz and blues carried on the night air from dark bars as Gershwin’s Piano Concerto sets you down in the flashy glamour of 1920s New York in a heady mix of glitzy, jaunty tunes. And finally, to ‘the great American Symphony’: Aaron Copland’s show-stopping Symphony No 3. Its soaring, expansive melodies are filled with promise and the spine-tingling euphoria of its finale, based on his Fanfare for the Common Man, will leave you feeling certain that the future is bright. Download the concert programme here.